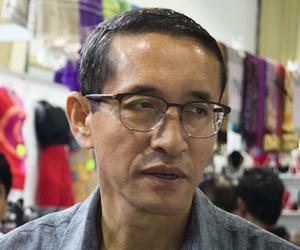 India’s ambassador to Cuba Tsewang Namgyal attended the opening of his country´s stand at the 2015 International Handicraft Fair (FIART by its Spanish acronym) underway in the Havana´s Pabexbo fairgrounds, till December 20. Ambassador Namgyal said this Fair was an excellent opportunity to boost the cultural exchange between the two nations, and added the pieces displayed in the Indian stand show the richness and diversity of his country. Each state´s handicraft reflects the history of India, its culture and traditions, marked by religion and history through the different ages India has lived. The Cuban public and visitors will see pieces representing popular art throughout India which include clothing, jewelry, handicrafts made of wood, metal, stone or terracotta.